In 2011, Mongolia's economy grew by 17% and attracted billions of dollars in foreign investment. Now, the country is facing a debt crisis and possible default. Mongolia's currency is in steep decline, plummeting 10% against the dollar over the past month. The central bank has tried to stop the bleeding by hiking interest rates by 4.5 percentage points to 15%, but its efforts have fallen short. Now, there's talk of a rescue bailout from the International Monetary Fund. "We are in a deep state of economic crisis," Finance Minister Choijilsuren Battogtokh said during a national address last week, according to Bloomberg. "We may not be able to afford to finance salaries and operational costs of government departments." The dire situation is a sharp reversal of fortune for Mongolia, which was once the toast of foreign investors. The country of roughly 3 million people is blessed with abundant natural resources, and has attracted billions in mining investment. Before the onset of the currency crisis, the World Bank said Mongolia was "at the threshold of a major transformation driven by the exploitation of its vast mineral resources." But slumping prices have put an end to the commodities gold rush. Meanwhile, demand from China -- which buys more than three quarters of Mongolia's exports -- has dried up because of its own economic slowdown. 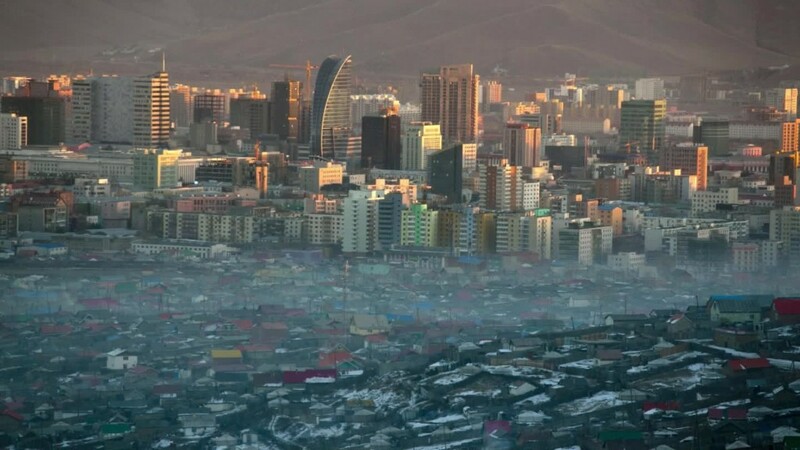 Experts expect Mongolia's economic growth this year to be flat or in the very low single digits. But that estimate could be far too rosy if the immediate economic crisis is not resolved. Last week, Standard & Poor's slashed Mongolia's credit rating to "B-" from "B" and warned that the government's budget deficit is much worse than previously thought -- 21% of GDP in 2016, compared with an earlier estimate of 9.1%. The ratings agency estimated that overall government debt has ballooned from 26% of GDP in 2010 to 78% this year. Increased spending is expected to push the ratio to more than 90% by 2019. At the same time, Mongolia does not have a large stockpile of foreign currency reserves. It will be the job of the Mongolian People's Party, which triumphed in June's national election, to sort out the mess. S&P said the new administration is likely to pursue a pro-mining agenda. The Oyu Tolgoi mine in South Gobi. Two massive projects, in particular, could help. The $5.4 billion Oyu Tolgoi gold and copper mine is expected to be fully operational before the end of the decade. 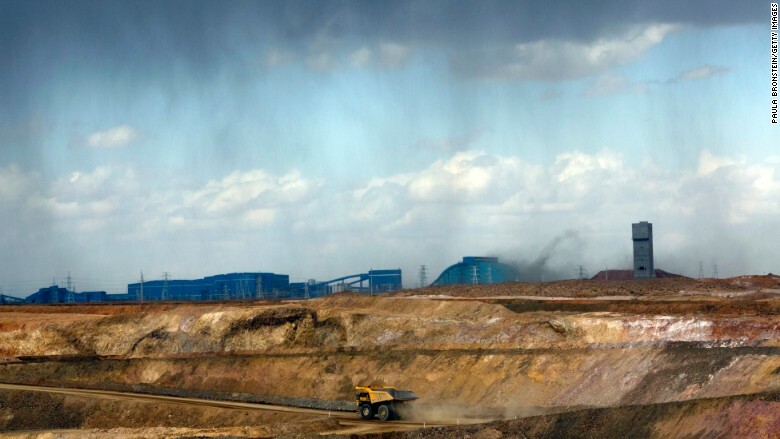 A $4 billion coal mine is also under development in the South Gobi region. Together, the two projects "could transform the Mongolian economy," according to S&P.